The film starts out with the showing of a video recording of George Bush Jr saying that explosives were planted in the World Trade Centers ala the terrorist attacks which looked like a controlled demolition in New York City on September 11th 2001. The City-States of District of Columbia, London, and The Vatican form one empire called The Empire of The City. It has been said that the 3 communist red stars in the official flag of Washington, D.C. represent the cities that make up the Empire of The City. Discussed in Ring of Power are the huge number put options against stocks that would be negatively affected by a terrorist attack. Ex. Airline Stocks during the September 11th building collapsings. The Bin Laden and Bush families made tons of cash together doing business. Colleen Rowley’s (FBI) warning to the United States about the coming terrorist attacks were ignored or suppressed. The fact that the suicide bombers took suitcases with them was interesting. Quite a few of the 19 hijackers, often cited as being the ones that did the 9/11 job, are alive and well. 3 of the buildings that make up the World Trade Center fell on September 11th, 2001, rather than 2. The epic insurance scam using the World Trade Center was discussed and spelled out at about 25 minutes into the film. Religion is under attack in this documentary as well. 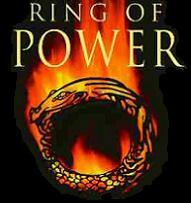 The producer of Ring of Power is an experienced, award winning documentary filmmaker who learned during her childhood that her father was a member of the secretive cult known as Freemasonry. Circumcision is a form of marking slaves to identify them as well as a way of saying that God’s work wasn’t perfect. Interesting.